How to Convert MKV to Play on PS4? As we all known, MKV file could contain a wide variety of video, audio, picture and subtitle tracks. Therefore, MKV file could offer the most convenient way to fit in the highest amount of data possible. However, the biggest drawback of the MKV file is that many media players or mobile devices like PS4 do not natively support MKV files. Only when the video files fulfill the following specification that PS4 can play MKV files freely: H.264/MPEG-4 AVC High Profile Level 4.2; MP3, AAC LC, AC-3 (Dolby Digital). You could know that the MKV files don’t meet the demands from the above requirements. When we talk about PS4, we usually refer to PlayStation 4, which is a line of home video game consoles developed by Sony Interactive Entertainment. PS4 gradually puts particular emphasis on social interaction and integration with other devices and services. PS4 supports playback of AVI/MP4 video files. As we all know that many kinds of Apple mobile devices and Android devices support the MP4 format files. Therefore, it’s very important and necessary for you to convert some other video files to PS4 MKV playback for more use. Leawo Video Converter offers the simple yet innovative way for you to convert between a wide variety of videos and audios with its easy-to-use interface. The great application could also allow to do some editing job for you so as to customize your own favorite video files. Furthermore, the program also supports the batch conversion from MKV to any other formats with the high conversion speed. It is absolutely critical to download Leawo Video Converter for free and open the program before we start to stream MKV to PS4. The step is very easy to operate. The software with the user-friendly interface could provide the flexible option for you to import your favorite MKV videos to its interface. If you want to load your MKV videos that you want to convert, you’re able to click the “Add Video” button in the left side of the interface, click the invert triangle icon next to the “Add Video” button, or directly drag and drop the MKV videos to the “Drag File into Me” icon. If you’re desired to activate the settings window, you could click the “MP4 Video” button so as to pop up the window > click the “Change” button > open the “Profile” panel. You could view the operation in the picture below. Here you could choose “Device > Sony > PS4” to set PS4 as output file. It’s time to start the conversion job. Just click the “Convert” button to open one window where you could choose the output folder and then click the “Convert” button so as to start the converting from MKV Video to PS4 supported file. In fact, there’re many other free online conversion tools, such as MP4 converter, Zamzar and so on. Here you could know more about these tools below. The powerful MP4 converter offers the easiest way for you to convert files like MKV files to the MP4 format. 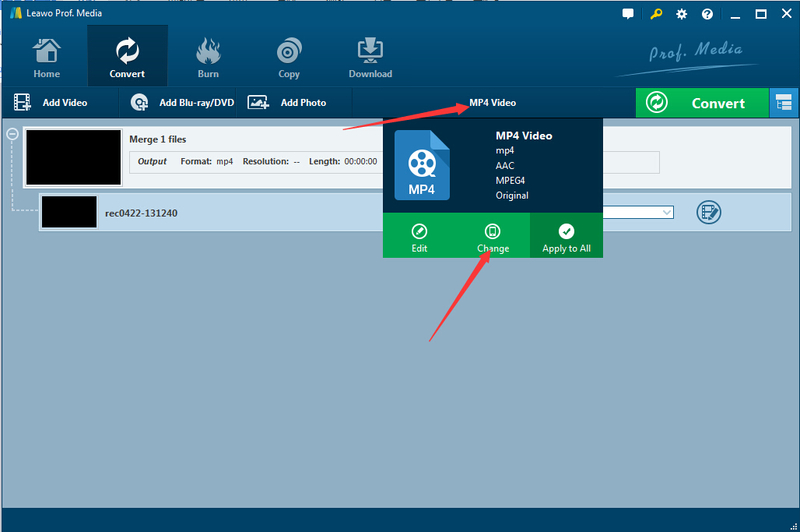 The MP4 conversion tool could enable you to convert many other video files to MP4 file with the high quality. 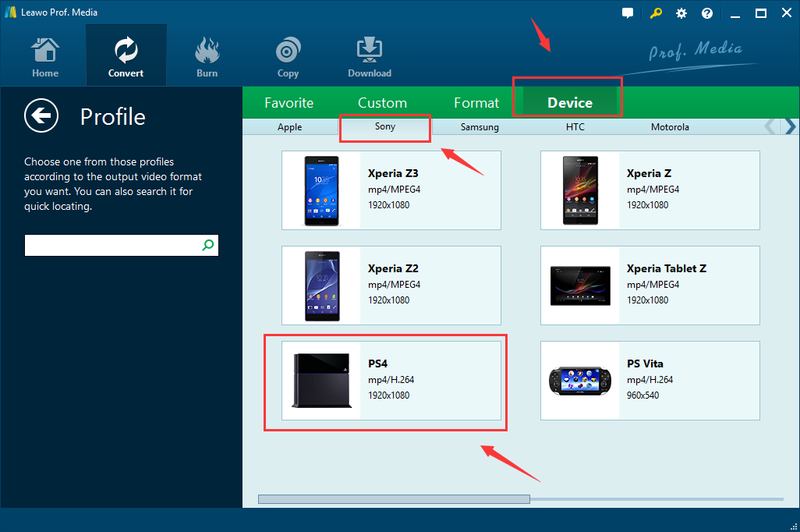 Zamzar is one totally free online service that could help you convert MKV to PS4 media player MKV online with several simple steps. With the useful online service, you could upload the MKV video files online and it would convert them to MP4 automatically. And then you may need to download the converted MP4 video files directly. From the points above, we could learn that you may need to upload these video files if you use these free online conversion tools. Generally speaking, it would cost much time. Low conversion speed and low quality. 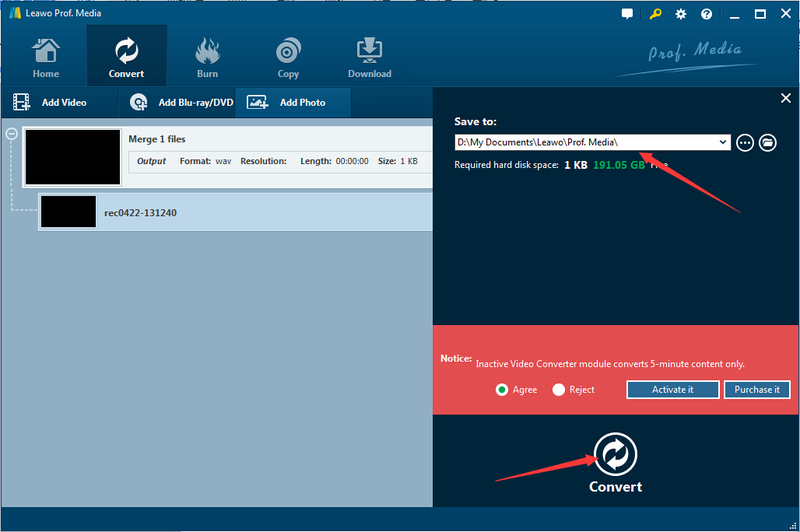 Unlike those free online conversion programs, Leawo Video Converter could be the ideal option for you to convert MKV to PS4 MKV files offline with high conversion speed and high quality. More importantly, you could convert nearly almost video/audio files to any other formats freely. The useful program also provides some editing functions for you to specify your video settings as you like.